People in India spend a lot of time in researching when they buy a new car. Since, it is a hefty financial investment for most people, they want to ensure that their selection of the vehicle is flawless. But, when it comes to car insurance in India, most car-owners don't spare a thought. However, availing any car insurance plan in India without keeping the requirements in mind is not advisable. If you want to buy the best car insurance in India you should compare car insurance online and weigh merits and demerits of all online car insurance plans available and choose the one that meets your criteria best. Getting the right car insurance online policy is also crucial for making successful claims. The purpose of investing in a comprehensive car insurance online plan would be defeated if your claims get rejected . This is why you should be aware of all the nitty-gritties about car insurance claims. The need to lodge a claim can arise in various circumstances. Let's have a look at some common scenarios. you cannot guarantee safety while driving on busy Indian cities even if you take all the precautions. You can easily get involved in a road-mishap when you are not at fault. In these situations you need to file car insurance claim online. It may also happen that at the time of the accident you didn't even drive your own car. Sometimes, family members and friends drive the cars of the owner. The claim registration process would be different in that case. This scenario is the most common one. When you drive your own car, an accident may befall and have your vehicle damaged or vehicle of any third-party or both vehicles. If the mishap leaves only your own vehicle damaged you have to have a comprehensive car insurance online plan to be eligible for a motor insurance claim. A comprehensive online car insurance policy also covers accidental injury and death of the car-owners. If you avail a third-party liability only car insurance plan you cannot make claims for losses to your self and to your own vehicle. If the third party vehicle also gets affected, the mandatory third party liability coverage comes into play. Third party car insurance cover also takes care of third party death, permanent injury and property damage. A comprehensive car insurance online plans also look after insured's third-party liabilities. Apart from the loss to own vehicle, the comprehensive car insurance online plan also covers legal liabilities towards third party even if the vehicle is driven by not the owners. However, in certain cases you cannot make a car insurance claim in spite of being armed with a comprehensive online car insurance plan. The following are the situations where your car insurance claims would be turned down. In fact, parents of minors that commit accidents while driving are held responsible legally in India. To safeguards your family members and drivers of your vehicle you can avail a perosnla accident insurance policy in India. Most insurance providers offer a wide range of this type of cover so you should compare personal accident insurance plans online and choose the best plan. How to Make Successful Car Insurance Claims? The first and foremost thing you have to do is to inform your car insurer about the mishap at the earliest. You should contact via toll-free number and make them aware of the situation you are in. Remember, you are not lodging a claim officially and just keeping your insurer informed which will ease up the claim settlement process. In the second step, you should file an FIR. In case your car gets stolen, FIR is a must to have your claim settled. In accidental events also you should make a claim, however, it is not essential for settling claims. Since you informed your car insurer in the first place, they will send a representative to inspect the entire spot and assess the damage of your vehicle. The representative will also help you take your damaged vehicle in a cashless garage in the network of your insurer in your vicinity. In case your car is not in a state to drive the inspector can also arranger for towing assistance. It is strongly recommended that you don't move your damaged vehicle an inch from the spot of accident before your car insurance provider reaches. If you try and take your damaged vehicle to any workshop yourself, it may trigger some consequential damage to your already damaged car. And, you cannot make claims for such damages as you are not supposed to move the damaged car before the surveyor comes. After assessing the damage, the surveyor would submit a report to the car insurance company. Your insurer will then contact you to let you know the claim amount they approved. Once you agree with them on the claim amount and the time required to have your car repaired by cashless garage in the network of your insurer you are done. You can rest assured that your prized possession is in safe hands. In authorized garages, your damaged car parts will be replaced by authentic parts and most importantly the bill will be paid by your car insurance provider. All car insurance companies in India are not the same when it comes to claim settlement ratio. This a vital parameter when you compare car insurance online plans offered by different car insurers. Here is a list of car insurance companies with best claim settlement ratio. When you compare car insurance online, however, claim settlement ratio shouldn't be the sole criteria. You also need to factor in other vital aspects such as network of cashless garage, customer care service. Premium, coverage and limitations of car insurance online plans also need to be considered while choosing the best car insurance in India. Should You File Claims for Small Damages? All car accidents are not equal on the basis of the extent of damage it entails. Some mishaps are so severe that the insurer has to write off the entire car and make compensations for a new replacement. In those cases, your car insurance claim would be paid after deducting the depreciation value based on the age of the vehicle. But, what should you do if your car's damage is not so significant. Should you make a claim or should you skip it and pay the small amount from your own pocket? What Should You Do Before Filing a Car Insurance Claim? Prior to lodging a car insurance claim, you should calculate the extent of loss, deductible if any and the impact of your claim on the NCB that you have accumulated and the premiums that you have to pay on your car insurance online renewal. You should keep in mind that your one claim will turn your NCB into zero and you won't get any discount on your car insurance renewal premium. There are many reasons why you should refrain from making car insurance claims for minor damages. Let's discuss the most crucial ones. Most car insurance plans in India come with a pre-specified deductible amount. I n simple words, if your car insurance policy comes with such clause you have to pay a certain amount known as deductible to make your insurer pay the rest. So, if you want to make car insurance claim of an amount similar or lower to the deductible limit, your car insurer will have to pay either nothing or a very nominal amount and in the process your NCB will be lost too. NCB is essentially a reward that policyholders reap by not making any claim on their car insurance policies. Car insurance companies in India provide up to 50% NCB for not making any claim for 5 consecutive years. The amount you can save by using this discount on your car insurance online renewal is not insignificant and you will miss out on this hefty discount if you make any claim that you can manage yourself. If you make too many claims, you will not not only lose NCB but your car insurance online renewal will be at stake also. Considering your profile as a high-risk one your car insurance provider might deny to renew your online car insurance policy. If the damages are caused by your fault or negligence for which you are making a car insurance claim, the premium on your car insurance renewal is most likely to rise. Hence, you should make car insurance claims only when your car is severely damaged and you cannot take care of the repair expense yourself. While buying car insurance online, you should check the claim settlement record of the insurers as well. 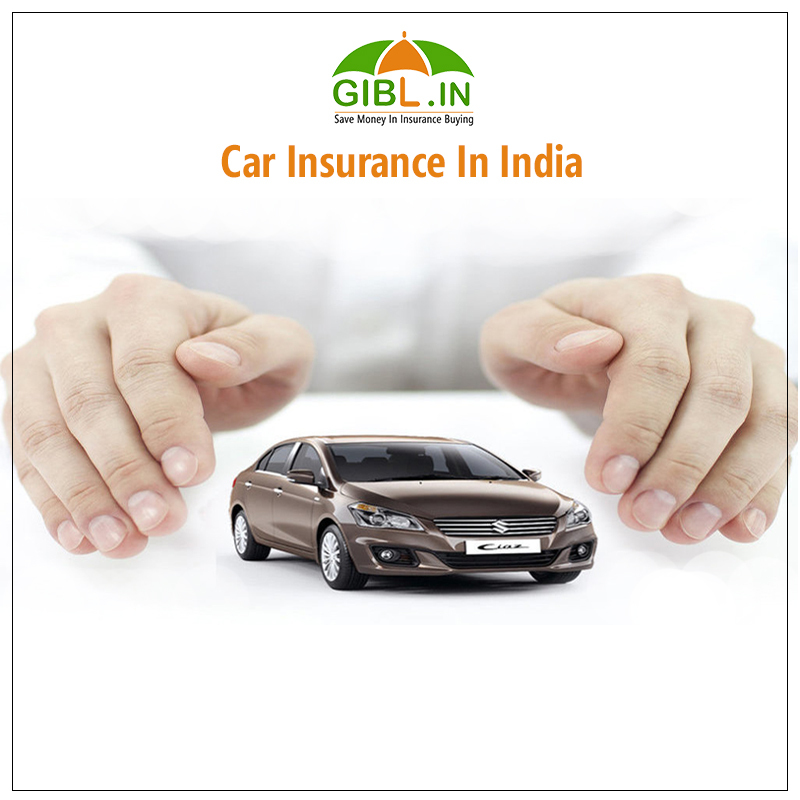 To compare car insurance online and buy the best car insurance in India you should resort to GIBL.IN, the premiere online insurance marketplace.